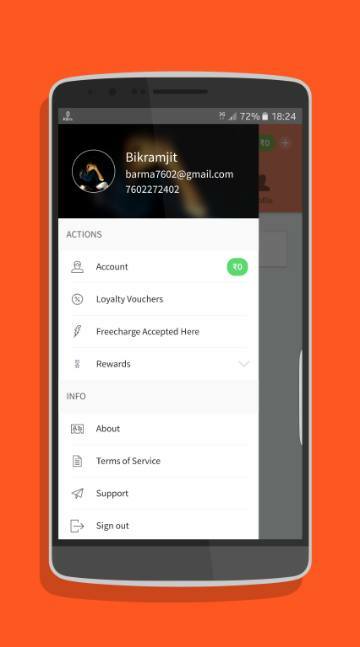 FreeCharge is Indian based mobile app, offering an online possibility for recharging any type of prepaid or postpaid mobile phone, data cards or DTH in India. At their site, the money amount that is being paid from the user in order to recharge, is later returned in a form of coupons for shopping at some popular stores in India. Essentially this makes the recharge in fact free, so hence the name - FreeCharge. Initially you could have used their coupons at Barista or McDonalds, but today some other big names are added like Domino`s Pizza, Puma or Jet Airways. FreeCharge is probably the fastest and the best application for recharging and online payment of bills. There are many other secure and safe platforms, but this one is really quick. It does not matter whether you pay for DTH recharge, utility bills, mobile bills or landline bills; the payments are processed in just a matter of few seconds. No waiting and no unnecessary delays. FreeCharge has also implemented one of the best online wallets for mobile devices. You can do all kinds of day to day purchases or payments with this wallet. By using your credit or debit card you transfer a certain amount to the wallet, and you can also use the same for quick payments of bills or phone recharge. It totally eliminates waiting in lines just to pay a simple bill, and here you can do everything with just a few clicks. You would definitely save lots of precious time by using this service. Your online wallet can also be used for transactions made at other different merchants with the exact same login, home address and credit card details. Every time you transact with the FreeCharge online wallet you become eligible for numerous cashback offers, rewards and discounts. What are the positives of FreeCharge? -	All major Indian telecommunication providers are covered including Airtel, BSNL, Vodafone, Reliance, Idea, etc. -	You can recharge DTH for all major operators such as Airtel Digital TV, Sun Direct, Tata Sky, Videocon, etc. -	You can pay all kinds of bills about anything raging from gas and phone bills to electricity bills. 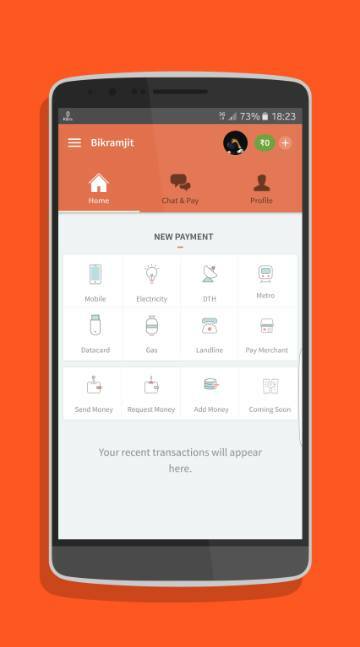 There are some new features available on FreeCharge, such as completion of recharging and paying for bills in less than ten seconds. You can add cash to your wallet regardless of which bank you have an account, as all banks in India are covered, such as the Axis Bank, State Bank of India, HDFC Bank and many others. Your money is completely safe, so you do not have to worry about anything. The transactions are secured with 128-bit SSL with seals from serious market leaders such as VeriSign. On FreeCharge you can also login with your Google and Facebook details, and your account login is the same for both FreeCharge and the other e-commerce site ? Snapdeal. The cashbacks and discount offers at FreeCharge are unbeatable, regardless whether you are recharging your phone or paying for utility bills. Try this app today and you will not be disappointed.